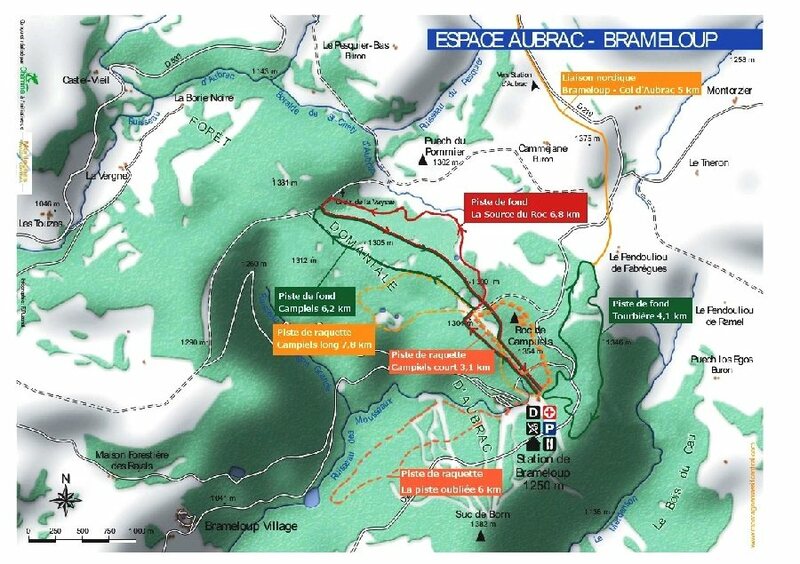 Family winter sports resort in the centre of the Aubrac mountains at 1300m altitude. 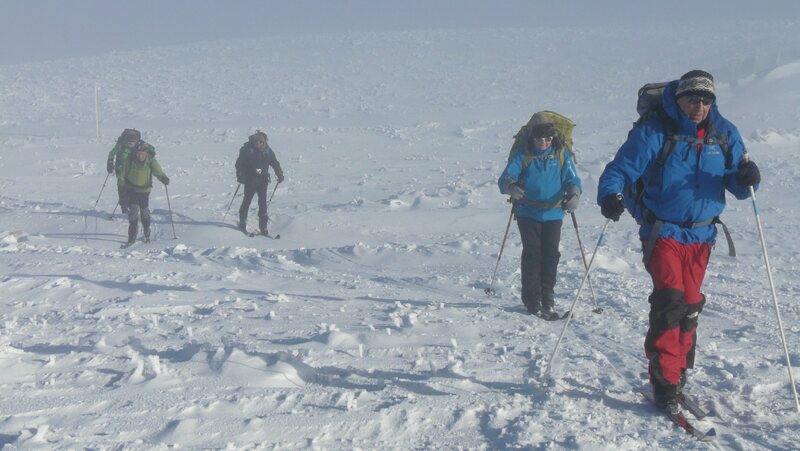 Ideal for dowhill skiiing, cross-country skiing and snowshoes. The resort offers 2 cross-country ski trails, 1 toboggan area, 3 snowshoe trails and 1 northern route. 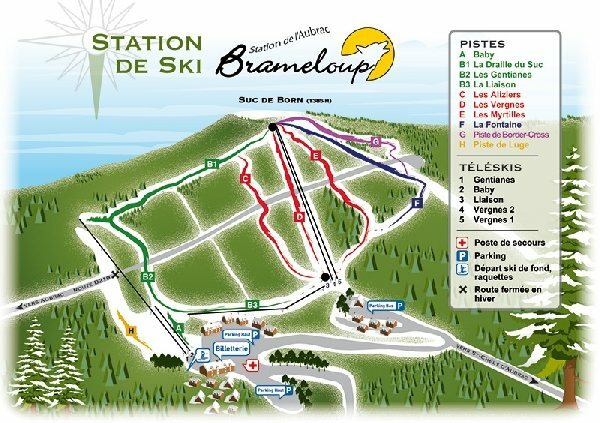 For more information, contact the piste service at 0977485225 or www.brameloup.com website.